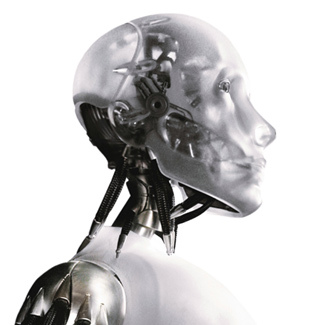 Does a robot have a soul? Ah, a question for our future as technology delivers more and more wonder to our society. For the here and now though we have a related question. Where does the human soul go when we turn people into robots? I read a fascinating article today from Fast Company Magazine titled, Think Your Office Is Soulless? Check Out This Amazon Fulfillment Center. My goodness. How computers have taken over to the point of making workers appear as robots. Control and efficiency above all. In part this does explain how Amazon’s prices are so low. But at what cost? In this warehouse the size of nine soccer fields, the average worker walks over 15 miles per shift. Workers at Rugeley spend their days wandering the massive warehouse, either squirreling away incoming products, pulling orders down from shelves, or packing them up for shipment. In each of these activities, the workers’ motions are not driven by the engine of human judgment or expertise but rather by the massive engine of Amazon’s exquisitely complex fulfillment mechanism: a computer that both tracks and commands every worker’s movements throughout the day. The article relates the story of photographer Ben Roberts who visited the Amazon warehouse as part of a story by the Financial Times focused on the economic turnaround of an English town devastated by the loss of its coal mine over 20 years ago. The intent was an uplifting story of rebirth and hope for a community. The photographer, with different eyes saw something very different. 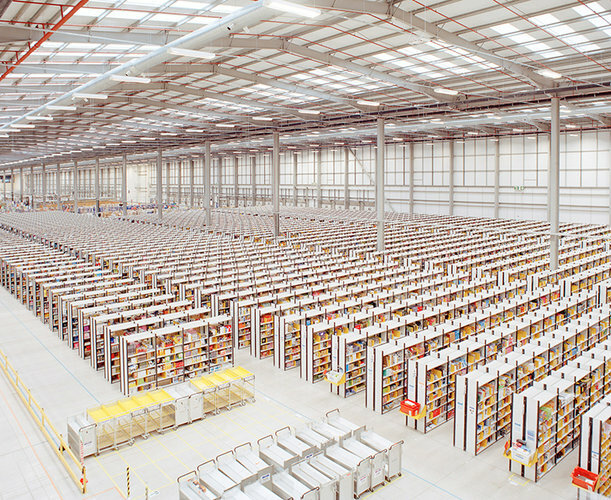 Roberts documented the silence, near absolute silence in this massive workspace. Typically his focus is capturing the intimacy and immediacy of the connection between people and their environments. This did not exist at the Amazon facility. They do this (work) in complete silence, except for the sound of their feet. The atmosphere is so quiet that workers can be fired for even talking to one another. This is not a knock on Amazon directly. Apparently the workers are grateful for the work, yet most of the time they work as temporary staff with an uncertain future. There can be no sense of growth in such an environment. Amazon is not alone in how they operate this facility. Other organizations do the same. Where is this taking us overall as a society? Yes, I stand for efficiency too. Yet we need to stand up for more. WeMoveTogether this is not. Thought provoking stuff. Read the article written by John Brownlee here. More of Ben Roberts photographs of the site can be found here.